Strong Indy started growing and gaining popularity and it became quite apparent that we desperately needed a central place to call home. We have been lacking a good place to post our events, our thoughts and our mission without it getting lost in the chaotic (but immensely cool) places in our Facebook group. 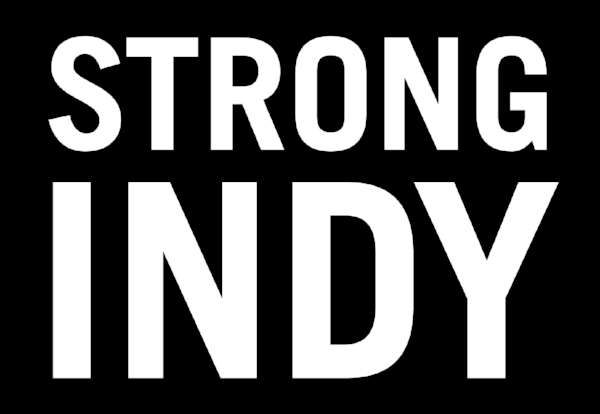 That’s the genesis of this first go at a website for Strong Indy. It’s far from being a complete website but it’s a start. If you’re interested in helping write original content for the site, help improve on the structure, contribute original photography and other media for it, please get in contact with us. Our goal for this site is to continuously improve it, to add new and dynamic content to it so that it’ll be the place to come to for as much original content on Indy’s burgeoning urbanism. Welcome, and thanks for visiting!